Name, date of birth: Ayapbergenova Bayan Erkebaeva09.09.1959. 1992 y. – engineer on technical supervision of Housing Repair and Maintenance Enterprises – 11 of Karaganda. 1981-1982 y. – engineer of research sector of Karaganda order of Labour red banner Polytechnic Institute. 1982-1984 y. – assistant, senior lecturer of the Department “Building constructions” KarPI. 1984-1987 y. – full-time postgraduate study in the specialty 05.23.01-Building constructions in KarPI. 1987-1991 y. – Junior researcher of the Republican interdepartmental scientific-research laboratory “Casantica” in KarPI. 1993-1998 y. 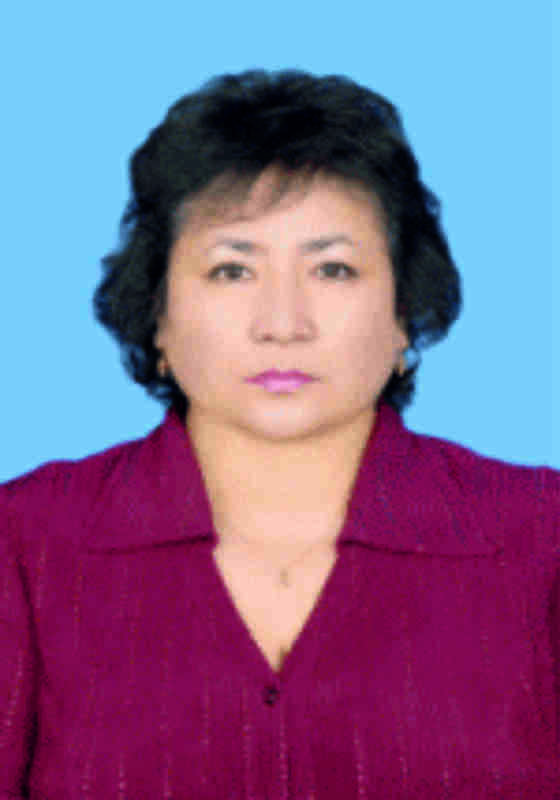 – teacher of construction disciplines of Karaganda industrial and pedagogical College. 1999-2003 y. – teacher of Kazakh language Professional school-26 in Karaganda. - 11.02.19-Certificate № 2036-19-training seminar “intra-University system of quality assurance of education”. The list of disciplines: Building structures I; Building structures II, building structures III, Survey of construction and reconstruction of buildings and structures; Calculation and strengthening of building structures of buildings and structures; Static tests of building structures of buildings and structures and others. - Tutorial ” Automated calculations of building structures “. Almaty, TechSmith, 2018 y.
IP 00723 for №168 from 19 January 2017 “Technology of construction of special facilities” (Electronic textbook). - slide lecture: ” Calculation and design of strengthening of building structures” on discipline “Calculation and designing of strengthening of building structures” (Certificate No. 7578 from 09.04.2018 G. University) for the specialty 5B072900-Construction. kazakh and russian (fluent), german (intermediate).